My husband, Rick, has the ability to add a touch of decadence to any adventure he pursues. However, even for him, the purchase of a Lello Musso Pola ice cream maker for our sailboat, SV Aphrodite, seemed way over the top. We are no strangers to the Lello Musso Pola. We originally purchased this same machine to accommodate our son’s food allergies when we lived in Ottawa, Canada. It should be said that you can find the Lello Musso Pola ice cream machine at better prices than the link I provided above. But, either way it is expensive. We splurged on the purchase reasoning that we will be making ice cream until our son leaves the roost. We cannot buy ice cream from a parlour due to cross-contamination issues. Plus, the machine has mouth-wateringly good online reviews. Photo of our first Lello Musso Pola icecream machine taken in our house in Ottawa. When we decided to sail we sold our first Lello to an Ottawa entrepreneur who makes Asian-style ice cream. The Lello Musso Pola is as big as it looks. 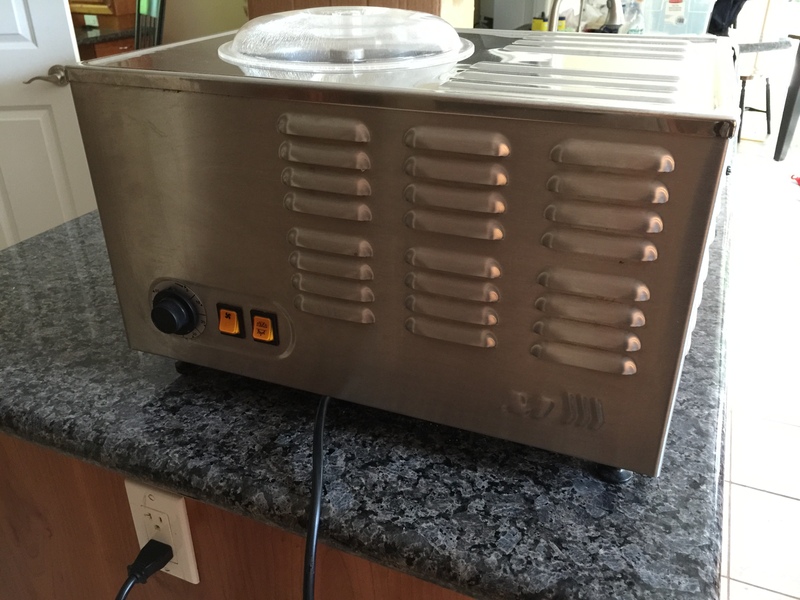 Weighing in at 60+lbs, the ice cream maker is about the size of an average microwave. On SV Aphrodite, the machine takes up precious counter space. Does it belong on a sailboat? The machine can produce about 2 quarts (about 2 liters) of ice cream in 20 minutes. In the past, we’ve used this machine to make frozen daiquiris, and countless types of ice cream. The way that the machine works is simple. 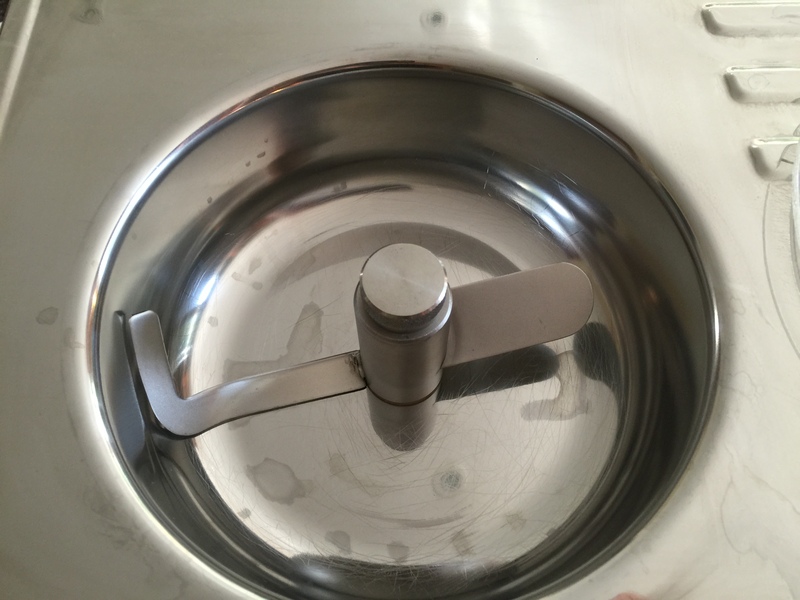 A spinning blade churns inside a mixing bowl. A built-in compressor freezes the contents. The churning blade inside the Lello Musso mixing bowl. At first, our boat couldn’t support the power requirements of the built-in compressor. This was disappointing. But, we’ve resolved that problem using a dedicated inverter, currently borrowed from our friend, Dave. So far, we’ve made orange slushies. Tonight, I made chocolate-pumpkin ice cream. Because of my son’s dairy allergy, we tend to make our ice cream using coconut milk and almond milk. With blog posts like this you might wonder: are we still sailing? Well actually we are anchored out, working on our boat and getting into a homeschooling routine. It is quite a lifestyle change. Because I am so new to sailing my transition to liveaboard life is intimidating. It is not unlike becoming a ski bum, only to start at the bunny hill. 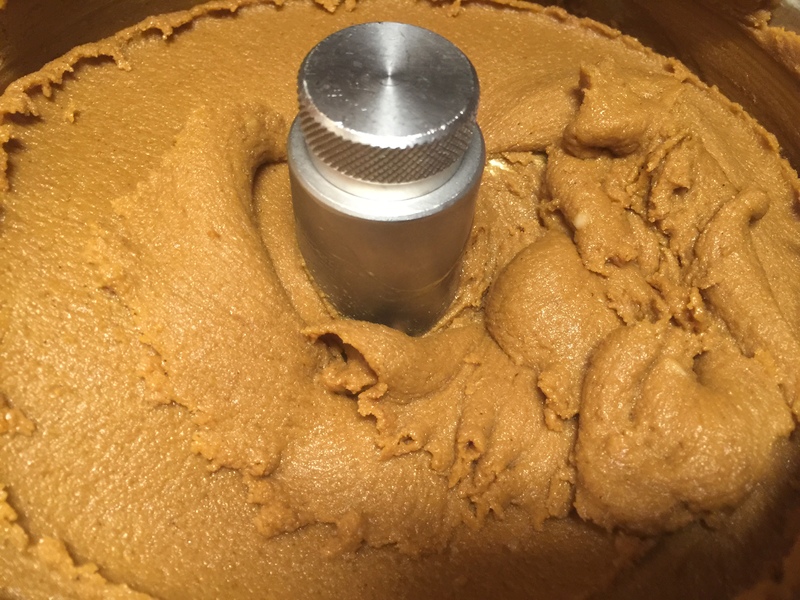 Away from creature comforts like shore-based electricity, Starbucks, and a vehicle to get there, our ice cream maker provides some much-needed normalcy and decadence. I would love some of your recipes. We have a similar ice cream maker that is ancient. I received it used from my former boss. It works great! My husband loves ice cream but can’t handle the milk. We have bought nondairy ice cream at the store but he has not liked them. My email is disney15175@yahoo.com love your blog! We took early retirement and live in western WA with our 14 year old son.